Fifteen years ago, Krista Bremer would not have been able to imagine her life today: married to a Libyan-born Muslim, raising two children with Arabic names in the American South. Nor could she have imagined the prejudice she would encounter or the profound ways her marriage would change her perception of the world.But on a running trail in North Carolina, she met Ismail. He was passionate and sincere and he loved adventure as much as she did. From acquaintances to lovers to a couple facing an unexpected pregnancy, this is the story of two people a middle-class American raised in California and a Muslim raised by illiterate parents in an impoverished Libyan fishing village who made a commitment to each other without forsaking their own identities.It is the story of a bicultural marriage and aren t all marriages bicultural? In any marriage, we might discover that our mate is foreign to us, with very different language, memories, and assumptions about home and family. How we respond to difference shapes our world.Profoundly moving and often funny, this meditation on tolerance explores what it means to open our hearts to another culture and to embrace our own. 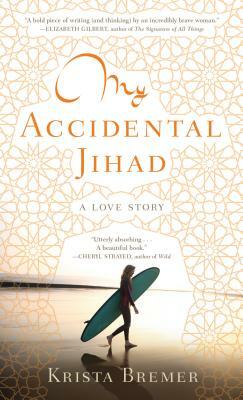 It is Krista Bremer's unexpected struggle to reach beyond herself, her accidental Jihad.